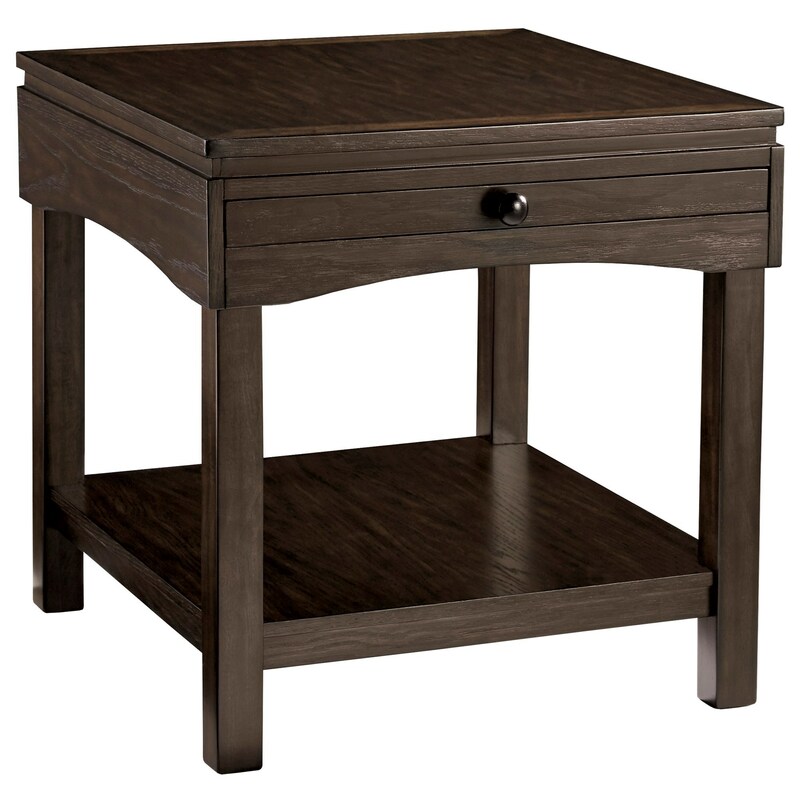 Coming off as seemingly simple with its straight edges and dark brown finish, this casual rectangular end table can fit right in with any room. Yet, the handy, fully functional pullout tray brings a new dimension of possibilities to the piece. This end table proves that an informal piece can still be visually appealing and practical. The Haddigan Casual Rectangular End Table with Pullout Tray by Signature Design by Ashley at Furniture Mart Colorado in the Denver, Northern Colorado, Fort Morgan, Sterling, CO area. Product availability may vary. Contact us for the most current availability on this product. The Haddigan collection is a great option if you are looking for Transitional Casual furniture in the Denver, Northern Colorado, Fort Morgan, Sterling, CO area. Browse other items in the Haddigan collection from Furniture Mart Colorado in the Denver, Northern Colorado, Fort Morgan, Sterling, CO area.